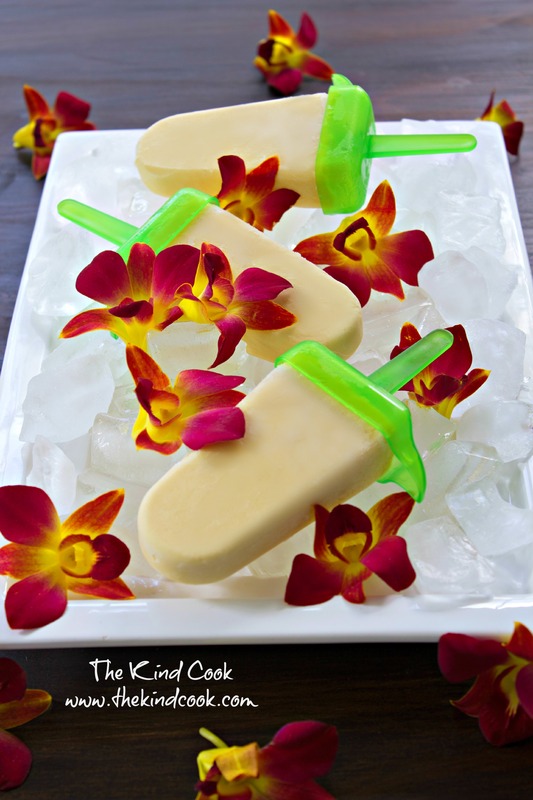 Pour into icy pole moulds. Yields: 6 ice creams. This will vary with the size of your moulds. Notes: When foods are frozen, it can “dull” their sweetness. You can combat this by using really ripe sweet fruits when making ice treats, or by adding a tablespoon of pure maple syrup to your mixture before you blend it. I love these with a little minced ginger to taste too.